Hi everyone, to say life has been hectic recently is an understatement. But I needed a break from it all so I decided to blog about this gorgeous polish!! I purchased this around October of this year and I couldn’t wait to swatch it for you all – Deborah Lippmann knows the way to my heart!! 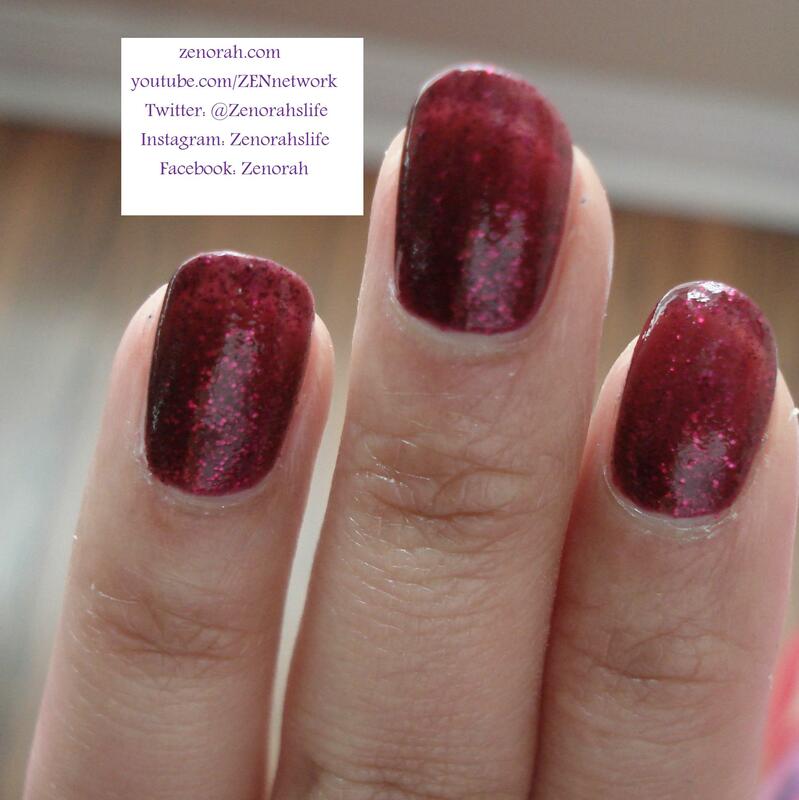 Have a look at this gorgeous, perfect Holiday inspired polish! 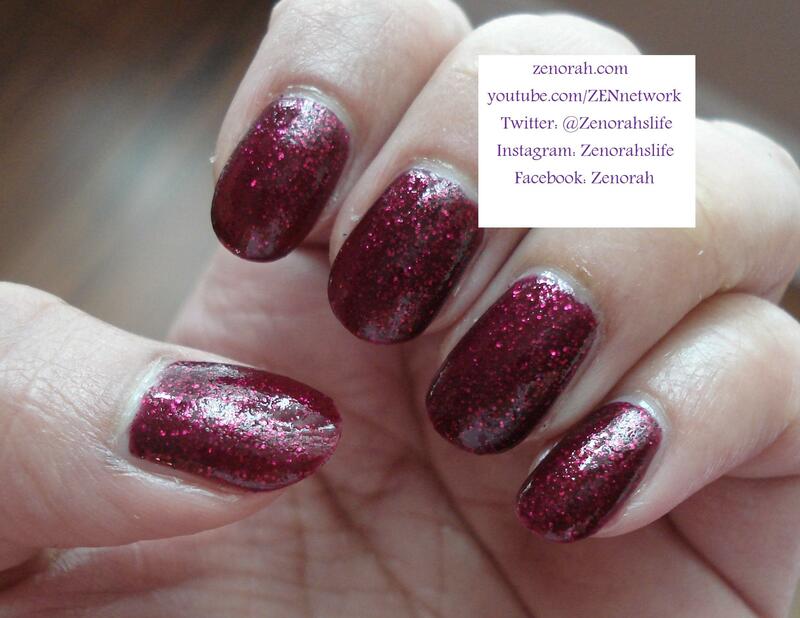 Deborah Lippmann ‘Razzle Dazzle’ – is a show-stopper raspberry jelly polish infused with magenta glitter particles. Basically, if you don’t own this, you need to run out and get it ASAP for the holidays!! This is a permanent polish in Deborah Lippmann’s core collection so you can save up and purchase this gorgeous polish anytime, but I decided to show you guys before Christmas so you can put it on a wish list, I think it would be such a fantastic stocking stuffer! While the manicure was opaque on two coats, you can see the crelly (creme + jelly) formula on this polish. I could have done a third coat for full opacity but I really liked the jelly nature of the manicure. This polish was fantastic in formula (nothing compared to the disaster of Essie Toggle to the Top – which I shall review soon….) so I would definitely purchase this polish for the holidays. I love the simple glitter flecks that come to life in the sunlight – it screams sophisticated, grown up holiday manicure. The wear time was decent, up to 4 days till it started to chip on me, however you will need to apply a good layer of top coat for this manicure to shine. This polish is in my top 3 picks for what I shall be wearing on Christmas day and I love that it’s not a classic red!! I think the name of this polish is appropriate, you can wear it with a simple black dress or let your nails speak for themselves with a relaxed causal outfit and you will DAZZLE! Either way, EVERYONE will notice this show-stopper polish and you NEED it in your life. 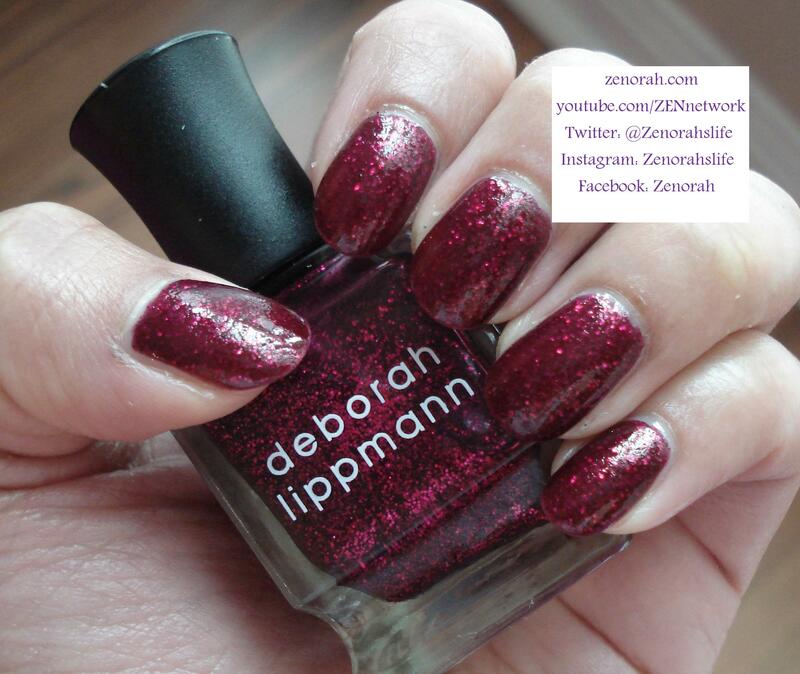 Do you own Deborah Lippman `Razzle Dazzle`? What are your thoughts on this nail polish?